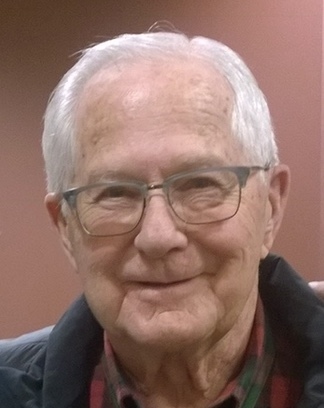 James “Jim” Pulkrabek, 85, of Warren, MN, formerly of Euclid, MN, passed away Saturday evening, March 23, 2019 at North Star Manor with his family by his side. James Edward Pulkrabek was born on January 5, 1934 in Warren, the son of Walter E. and Jessie (Airhart) Pulkrabek. He attended country school and graduated from the Northwest School of Agriculture in 1952. James married Janice Rae Hanson on April 24, 1954 at Our Savior's Lutheran Church in Warren. They made their home in Keystone Township, Polk County where they farmed. James and Janice moved into Warren in 2018. Jim was a life long and active member of Angus-Tabor Presbyterian Church and he served on the Keystone Township Board for 42 years. He was also a member of the Crookston Eagles. Jim and Janice enjoyed spending 30 years on Big Pelican Lake where they entertained family and friends and wintering in Arizona. Left to mourn his passing are his wife of almost 65 years, Janice Rae; daughter, Jody (Jim) Owens of Cottonwood, AZ and twin sons, James (Judy) Pulkrabek of Grand Forks, ND and Joel (Jody) Pulkrabek of Euclid, MN; four grandchildren, Jamie (Kaelin) Kyllo, Jameson (Brianna) Pulkrabek, Jenna Pulkrabek (Aaron Berg) and Jordan (Samantha) Pulkrabek; great-grandchild, Jax Kyllo and one great-grandchild on the way; brother, Robert L. (Nancy) Pulkrabek of Grand Forks, ND and many nieces, nephews and cousins. He was preceded in death by his parents, Walter and Jessie; infant son, Jay Walter; father and mother-in-law, Albert and Ruth Hanson and beloved cousin, Merrill. FUNERAL SERVICE: 10:30 AM on Friday, March 29, 2019 at Angus-Tabor Presbyterian Church in Angus, MN. VISITATION: 5:30 – 7:00 PM on Thursday at North Star Manor Assisted Living Chapel in Warren, MN and one hour before services at the church on Friday.